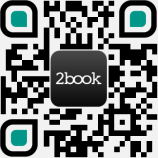 Whether for a cooking party, a product launch or a corporate event, 2book has you covered. We directly connect event hosts with venue owners, making it easier than ever to find that perfect, tucked away venue that will blow your guests away. Finding the right kitchen is about more than just discovering a space big enough for you and your guests. You need a place that offers you the equipment and the atmosphere you need to help you and others whip up culinary masterpieces. Our kitchens come in all shapes, sizes and configurations. Whether it’s the star of the show or an adjunct that helps you keep your party or seminar fed, we’re certain you’ll be impressed with the range of kitchens on offer. Need to show a crowd of 50 how to prepare a three-course meal? Just need an oven to warm up some food for your guests? Every venue on the 2book website is filterable by included equipment, allowing you to drill down into the results to find the space with the tools you need. The first step towards culinary perfection is finding the right space – do it with 2book.